Rediff.com » Sports » Michael Jackson statue bids goodbye to Fulham! Michael Jackson statue bids goodbye to Fulham! A controversial statue of the late pop star Michael Jackson will be removed from outside Fulham's Craven Cottage ground after fans complained it made the Premier League club look like a laughing stock. 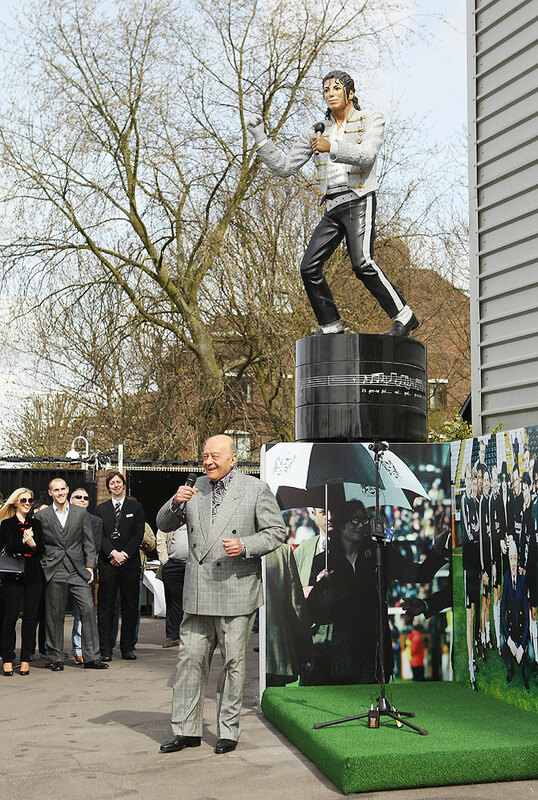 The statue was erected behind the Hammersmith stand by former owner Mohamed Al Fayed in 2011, two years after the singer's death at the age of 50 from an overdose of a surgical anaesthetic and other sedatives. "Craven Cottage means the world to generations of Fulham supporters, and I have heard from many of them over the past two months," said chairman Shahid Khan, who took over the club in July, in a statement on Friday. "Our supporters' views on the statue have been made clear. I respect Mr Al Fayed and know he had good intentions in paying an individual tribute. However, the removal of the statue is the right thing for Fulham Football Club." 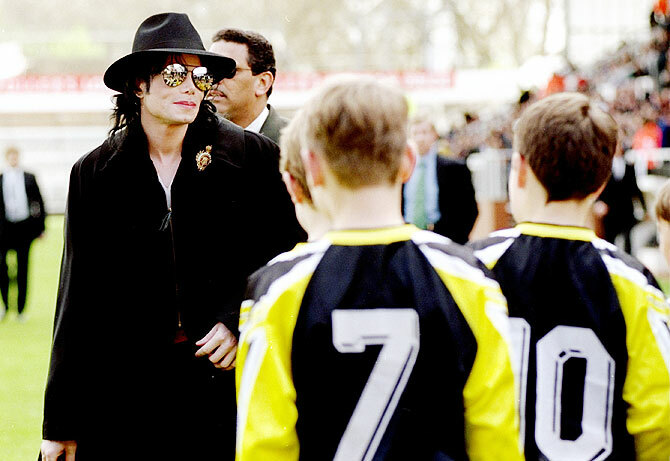 Jackson was a friend of Al Fayed's, who invited him to attend a game at Craven Cottage in 1999. The statue of the singer, clutching a microphone and pointing with a gloved hand, is one of two outside the ground -- the other being of the revered Johnny Haynes, who played more than 650 times for the club over 18 seasons. Some fans complained that the Jackson statue had nothing to do with football and made the club look ridiculous but Egyptian businessman Al Fayed dismissed their objections at the time in typically blunt fashion. "If some stupid fans don't understand and appreciate such a gift this guy gave to the world they can go to hell," he was quoted as saying. "I don't want them to be fans."